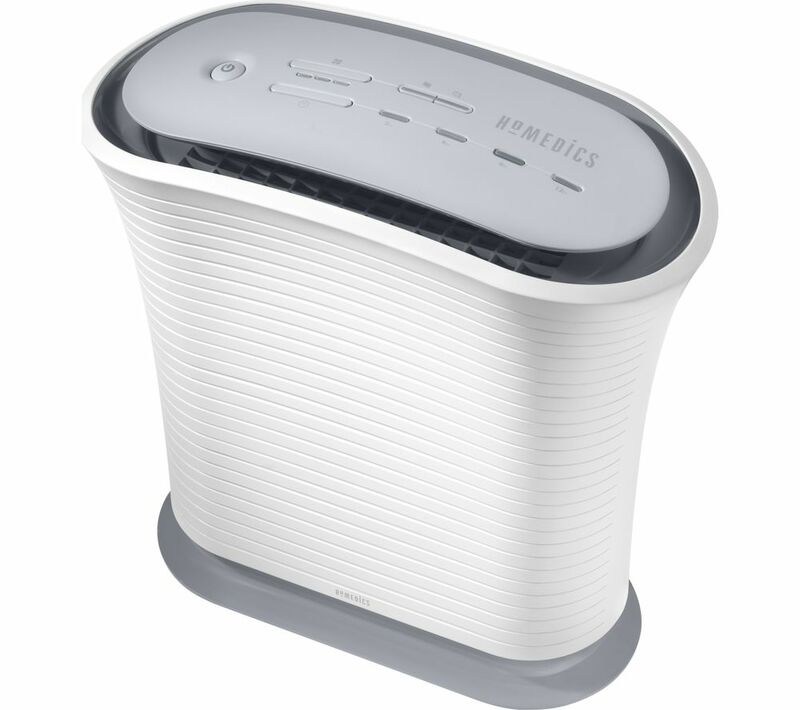 Breathe easy day in and day out with this Homedics TotalClean AP-25A-GB Air Purifier. 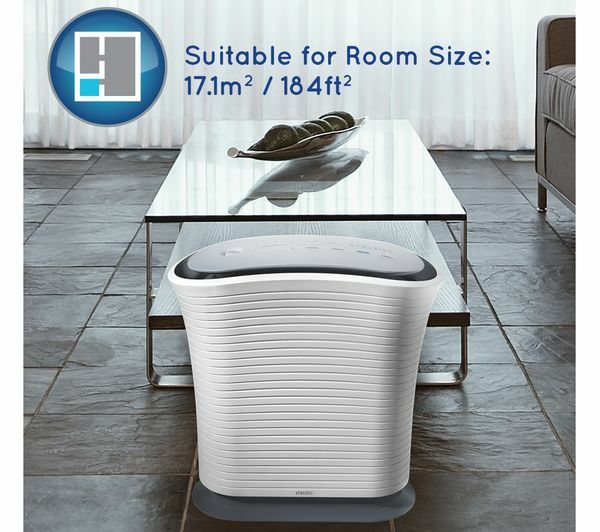 Fitted with a True HEPA filter, this indispensable home appliance gets rid of 99.97% of allergens, pollen, dust, germs, pet dander, odour, mould spores, and smoke to keep your living environment fresh and your health in check. 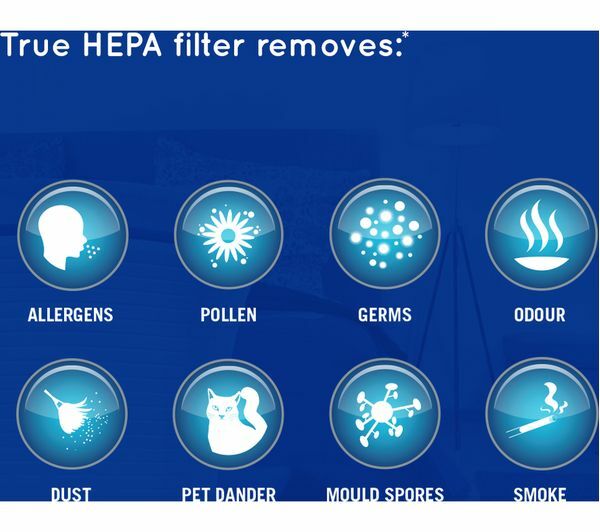 The HEPA filter can be cleaned, meaning that it can last up to five times longer than a conventional filter. 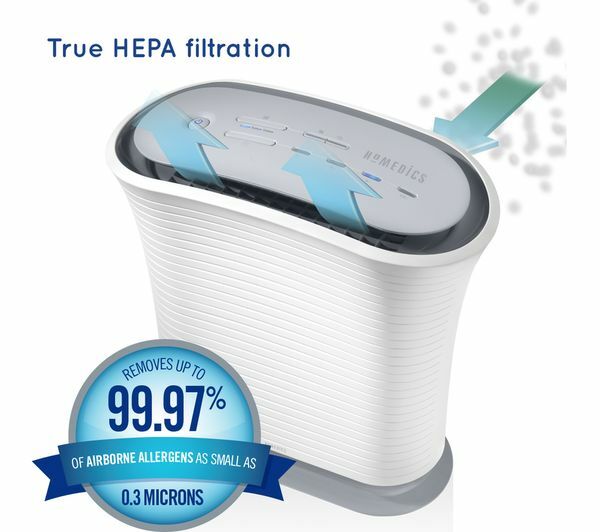 Large particles and household smells from your cooking are captured by a carbon filter, giving you additional comfort. 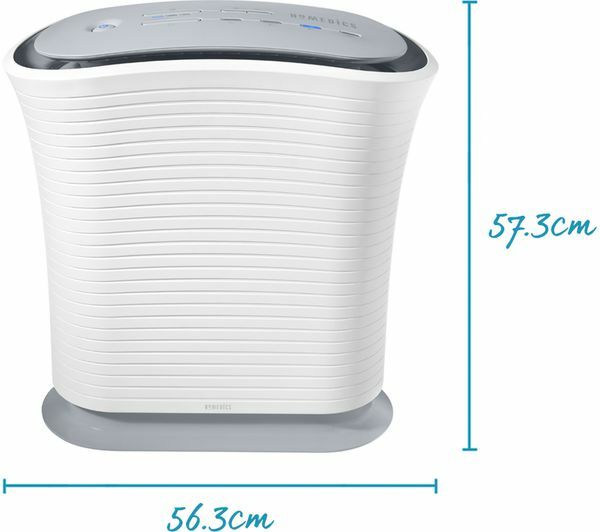 The TotalClean Air Purifier features a built-in timer so you can program it to suit your lifestyle habits. Choose from three different speed settings, or use the night mode to enjoy an uninterrupted night's sleep. An auto-off timer means you won't have to worry about switching off the appliance, so that you can breath and rest easily in any room of your home. Used on the low speed the noise is unobtrusive and can sleep easily once used to it. 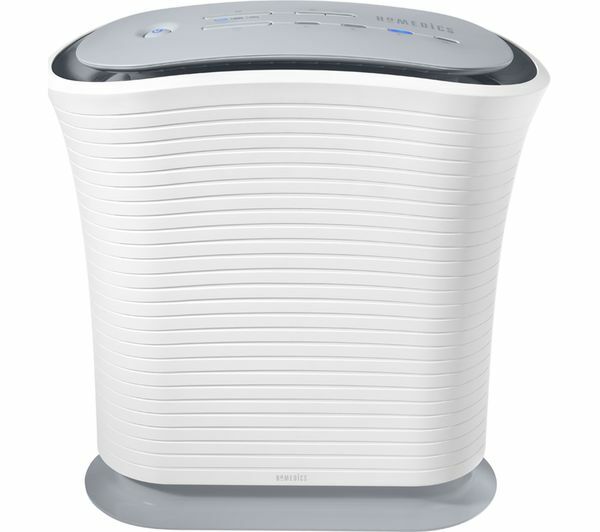 Very effective at cleaning the air. 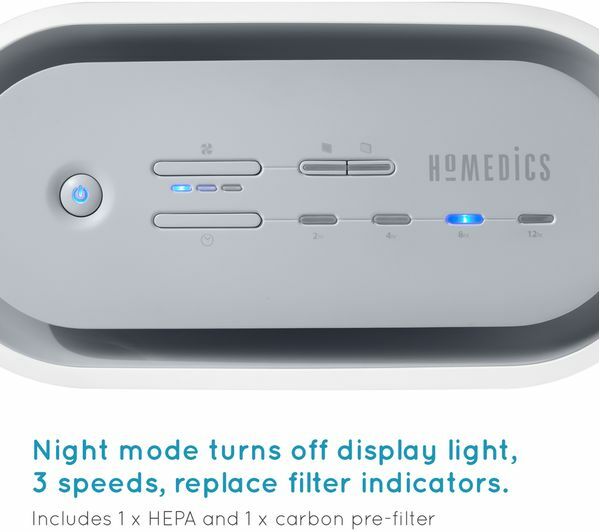 Timer can be set for up to twelve hours. Used to combat Rhinitis.